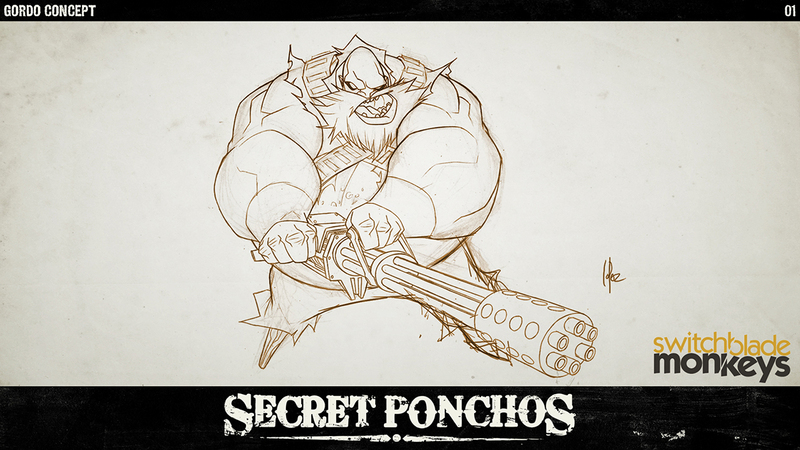 Hi there, my name is Jose Lopez, I’m the Art Director on Secret Ponchos. 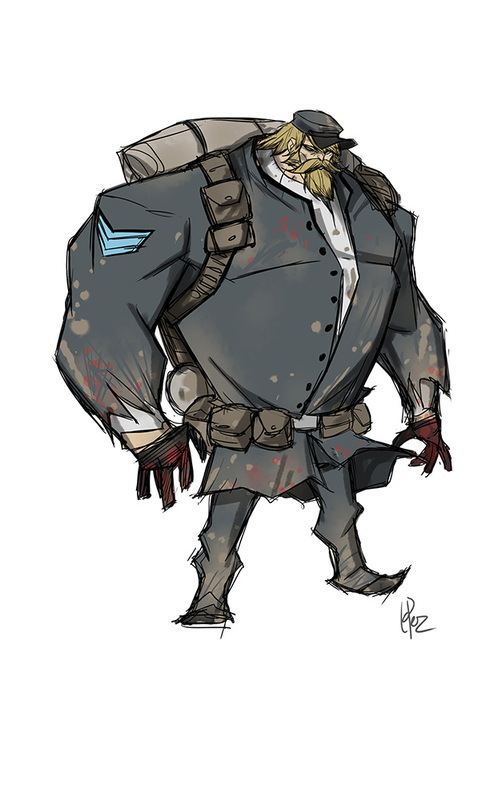 My main role was to give the game a stylized look in the visual side, mainly through character design. 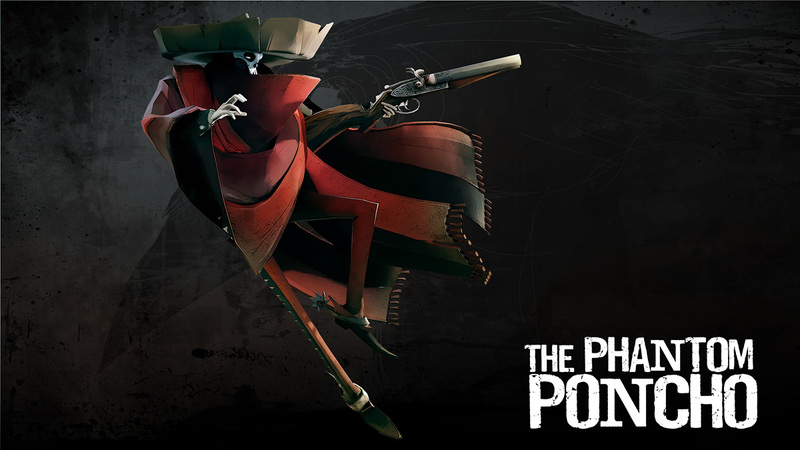 We kicked off the game with five different characters: Phantom Poncho, Kid Red, Killer, Matador, and Deserter. Each one of them has a very unique look and fighting style. 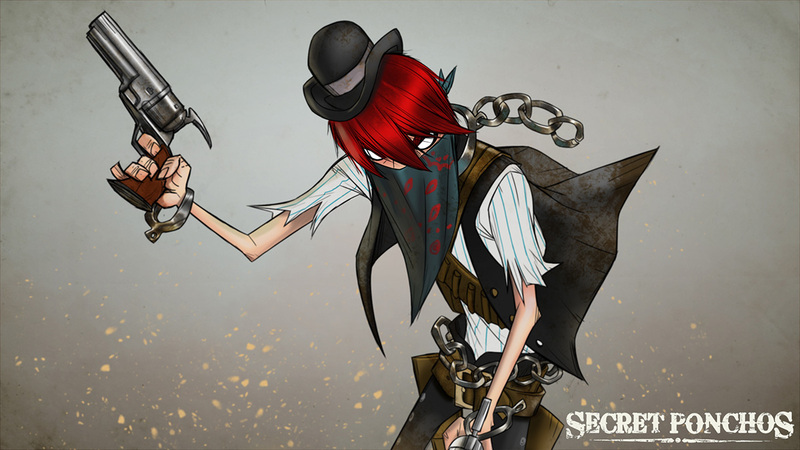 We started with the cowboys, Killer and Kid Red, which fit the more familiar western persona. Phantom Poncho added a bit of Mexican flare with the Day of the Dead mask and charro suit. 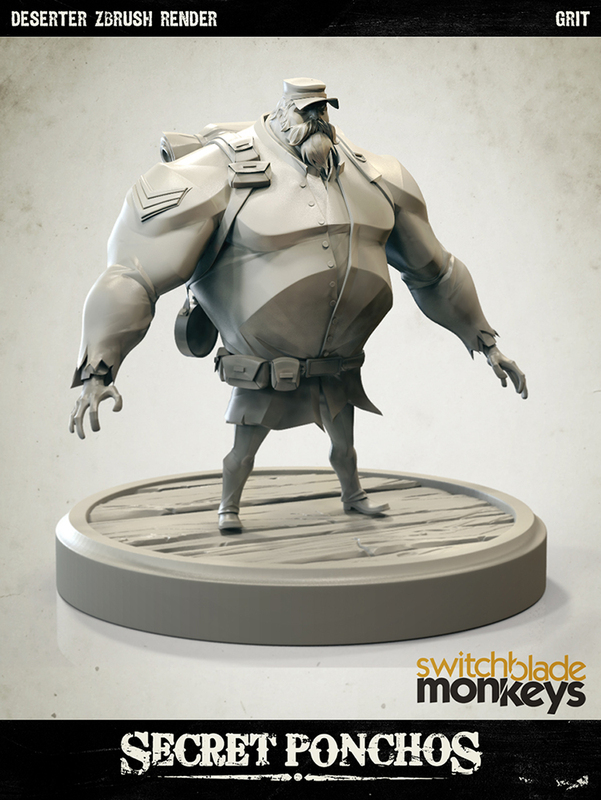 Then to venture out a bit and spice up our line up, we added civil war fighter Deserter, and for our female character The Matador, adding some Spanish beauty. 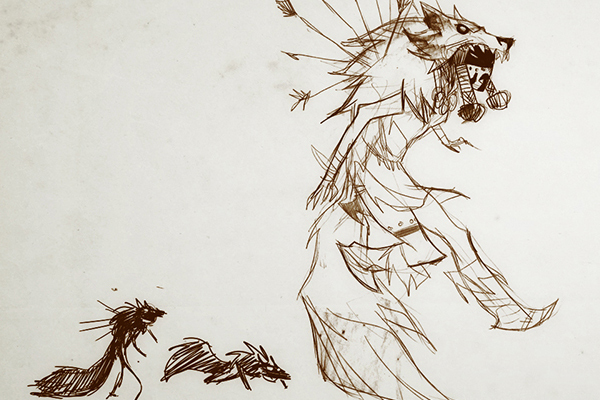 On our second wave we introduced two great characters Gordo and The Wolf. 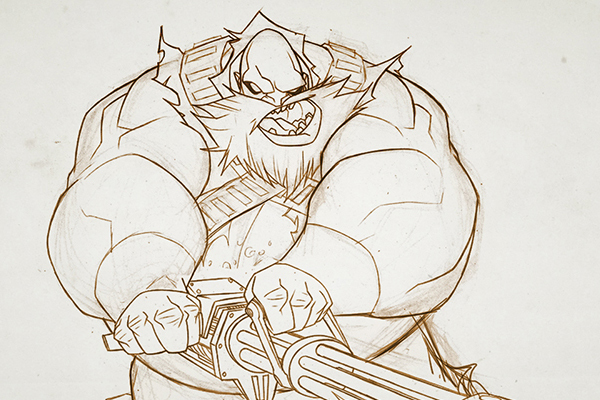 Gordo has a huge presence, he’s massive with a great silhouette and his Gatling gun is pretty much part of the character; the overpowering weapon looks great while firing. And the Wolf, she is lethal and quite different from the rest, the wolf fur she has wrapped over her body makes her look like the real animal as she crawls thru the maps ready for another kill. All characters are originated from real wild west characters but the main inspiration comes from the countless western films we’ve seen all our lives that we love so much. 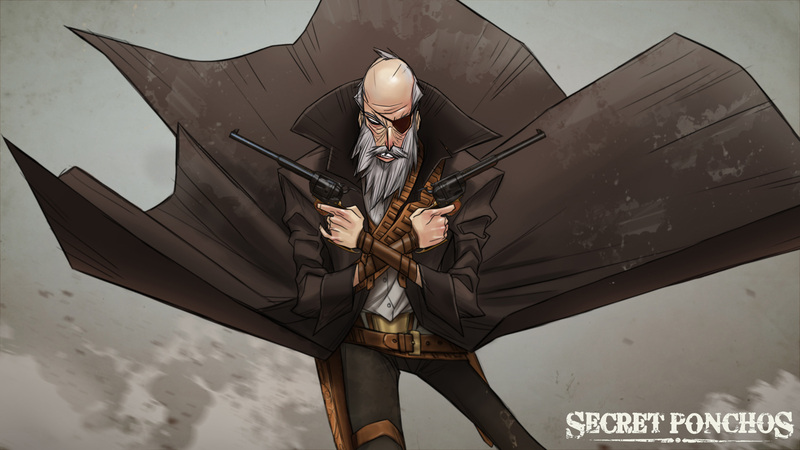 We made sure that the game was cohesive, and that all characters would fit into that time period of the Wild West. We referenced the western films that we love, weapons, costumes, and started making a list of what fits our outlaw needs. But mainly we wanted to give each one of them a specific personality and history, so we wrote character bios describing their backstory and attitude. 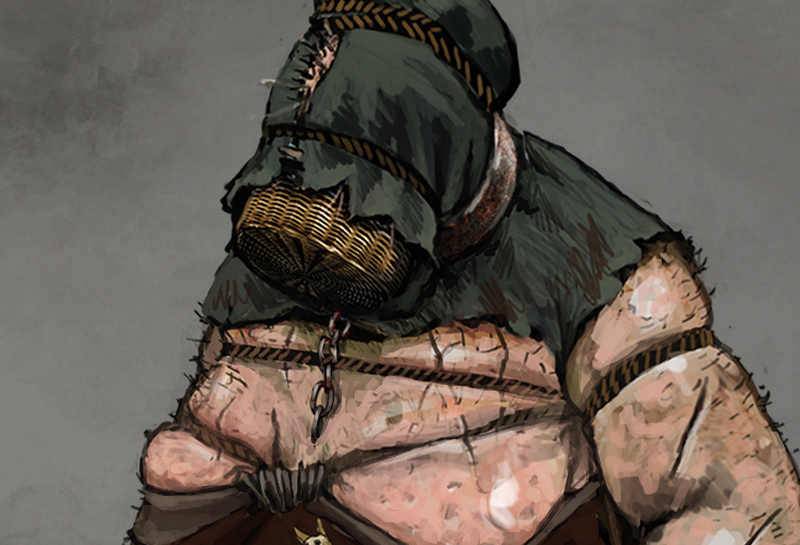 From there we looked at how they would carry through from a fighting style and gameplay. We always made sure all the elements were accomplished. 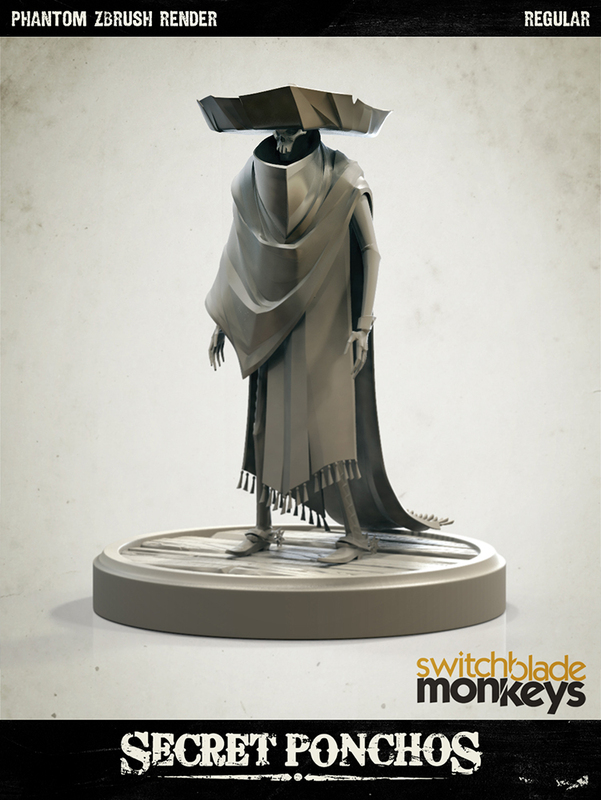 We never just settled on a character just because it was a good design. From my end I just wanted to design characters I would love to draw and that hopefully people react to. Another thing is the weapon they carry. It became essential to the design to know what he or she would be packing, it set the tone on who the were, what they been through, and how they fight. We had a few good ones that didn’t make the first cut but that doesn’t mean they are out completely. 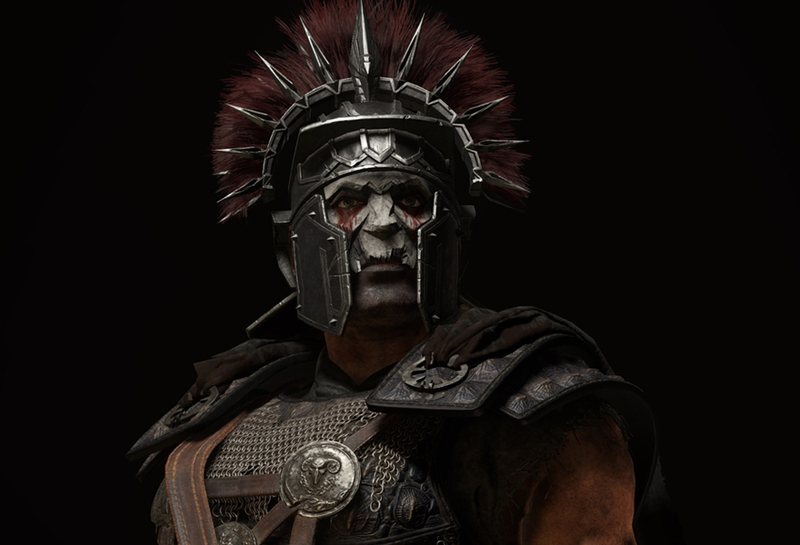 Once we picked the number of characters we were going to be able to put in the release of the game, we looked at them as a group: how they looked together, fight each other, and try to feed looks that cater to different type of players. So the original band of five we had was the most diverse on its own, and at the same time worked the best together for our the first wave of the game. 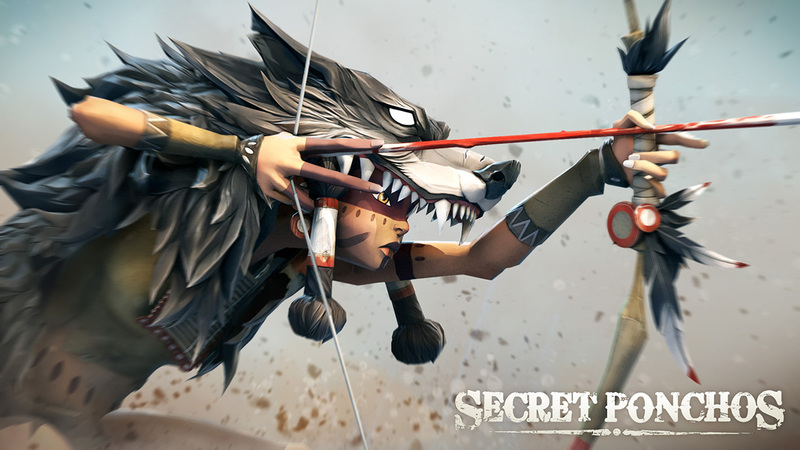 Hello, my name is Yousuf Mapara, I am the creative director on Secret Ponchos, so I oversee the game creatively, and design the gameplay and mood of the game. We focused on making sure each outlaw plays totally different from the others, and that these changes affect how you use your outlaw strategically. Each character has a primary and secondary weapon, and within those weapon types you can launch different moves, usually two or three. For example Kid Red wields dual pistols, he can shoot them rapidly one after another, or you can use his alternate fire where he blasts both at the same time into the chest of an enemy, knocking them down and stunning them. Aside from the moves, characters also have very important subtle differences that affect how they play. 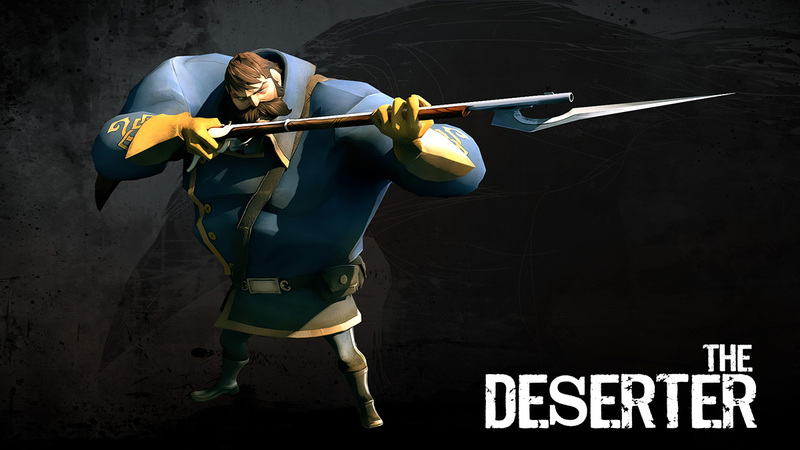 For example, one outlaw may regenerate stamina slower than another, making each point more valuable to them. They all have different strengths and weaknesses in how they perform their fundamental actions, so it’s not just their special abilities that set them apart. 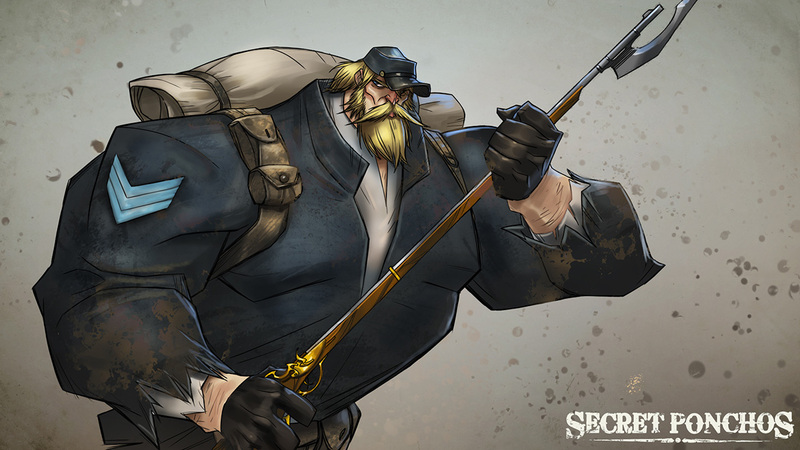 I draw inspiration from the character art Jose creates, and use the inspiration of their personalities that we imagine. We make a list of moves that would suit that attitude of the character, and then we make sure to compare that set overall with the entire set to make sure they work as a unit. Before I finalize the short list of moves, another important step is I try and get the character’s basic locomotion working (walk cycles, runs, etc), so I can run around in game and try and visualize, looking at the model and pretending I’m doing the attacks. It’s not just one move at a time you worry about though, because all the moves need to work together as a set, and then that character needs to work well with the other characters as a larger set, so this stage is really important. Once I have the moves in my head shortlisted, I start animating them. The animations themselves give me more information and sometimes the moves change slightly at this phase. Once I’m happy with them we prototype the gameplay and test that it’s all coming together. 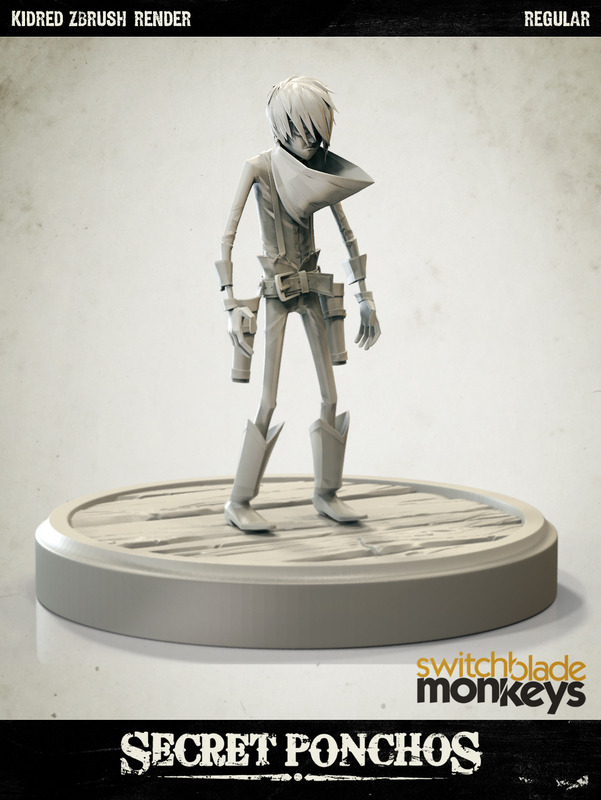 We try and keep the moves feeling “physical” and grounded in a spaghetti western theme. The other big factor we go by is “everything has a cost,” so that you are constantly making strategic decisions when playing about what the risk for a certain move is. Even something as simple as a dive roll has a trade off – it costs stamina. If you’re too aggressive you might not be able to make an escape. If you miss a heavy attack, you might be caught in a recover animation where you are sliding across the dusty ground for a second and vulnerable to a counter attack. 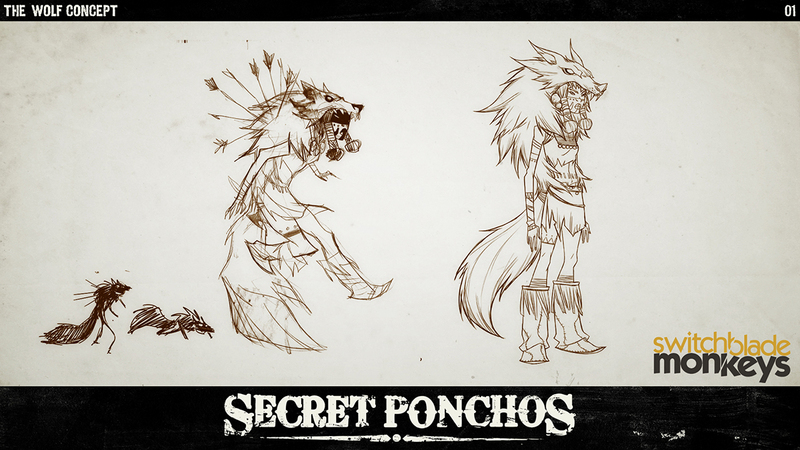 In Secret Ponchos there is constant decision making going on during the battle, which creates the gameplay. We typically start with the visuals (which is a different way of working than most studios), and the attitude of the character to inspire the context of the attacks. We try and understand first the overall rhythm we want the character to play at, and the last step is then defining the technical details (i.e. is it a stun/wound/range/are-of-effect). The technical details change a lot during iteration, but usually the rhythm and concept of the character stay as the anchor. No problem. 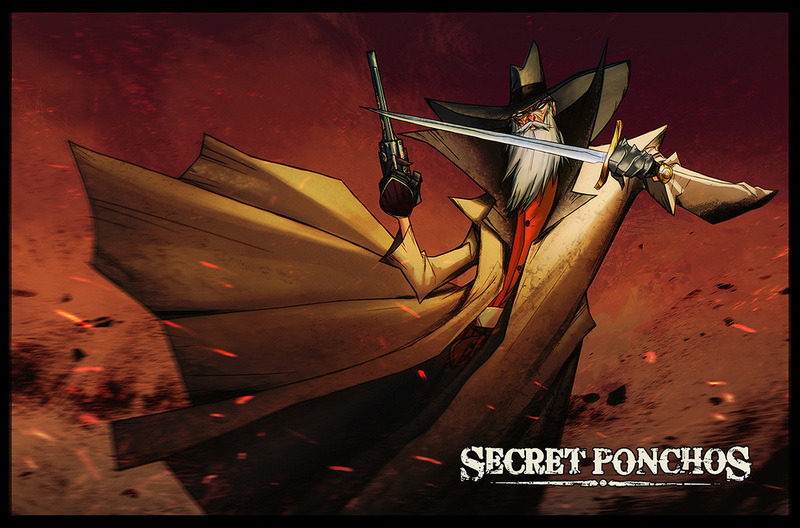 A lot of people do not know the background of how this game was made, but Secret Ponchos was not made by a big studio, we’re the opposite! A tiny group of friends working out of our homes. We started collaborating together as a passion project only because we were excited to make a game that was fresh and that we would want to play. We hope you and your readers enjoy the gameplay and the art style, and feel we brought something fresh to the combat game scene.